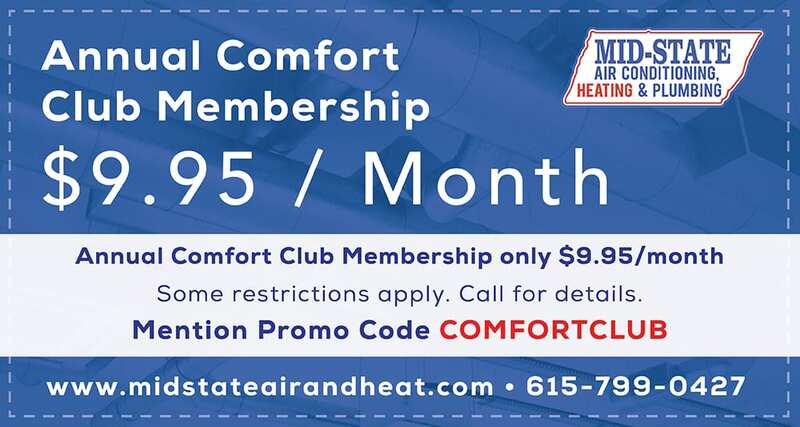 For more than 40 years, Mid–State Air Conditioning, Heating & Plumbing has been a trusted provider of heating repair and maintenance services throughout Nashville, TN and the Middle Tennessee area, ensuring homeowners in the region have the heating services they need to remain comfortable throughout the winter. 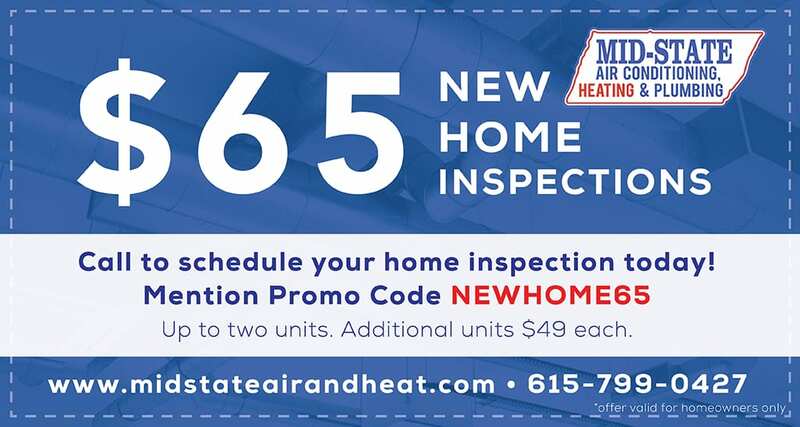 Whether you need someone to perform a routine preventive maintenance inspection or you need a specialist to perform repairs on your furnace or heat pump, contact us today in Nashville, TN for immediate service. There are many benefits to having maintenance performed on your heating system on an annual basis. One of the most important benefits is that the efficiency of that system will remain as high as possible. Over time, heating systems generally lose a little efficiency every year. This happens because of dirt buildup and general wear and tear on moving parts. With regular maintenance, however, this does not happen nearly as often. Ongoing maintenance will ensure that each year your heating system is ready to operate at peak efficiency before it is turned on for the first time. Another major benefit of regular maintenance is that, if there are issues with your heating system, one of our technicians will find and repair them before you turn your heating system on for the first time each year. This is not only less expensive than having to call someone out for an emergency repair, but it is significantly more effective. It also has significantly less impact on the health of your heating system over time. Heating maintenance should be performed once a year, just before the heating system turns on for the first time in the fall. This will ensure your system is ready to operate when you need it most. There will come a time when you need repairs performed on even the best–maintained heating system. When that time comes, you want to be sure that your system is properly repaired in a timely, professional manner––and that’s where we come in. Common signs that you may need repairs include a drop in the overall efficiency of your system, a sudden increase in difficulties with the system or in your energy bills, or a lack of heating in some or all areas of your home. 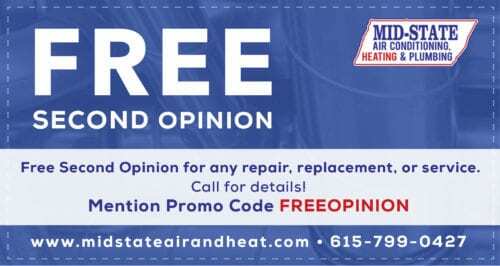 Whatever your heating repair and maintenance needs, call the Nashville, TN experts trusted by your neighbors for more than 40 years. 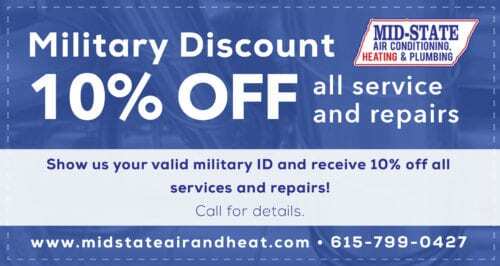 Call Mid–State Air Conditioning, Heating & Plumbing for service in Nashville, TN and the Middle Tennessee area. We have been working with homeowners throughout the region for many years and can ensure your heating system continues to work properly for years to come.